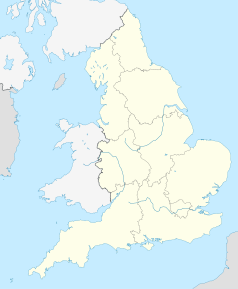 Wilby – wieś w Anglii, w Norfolk, w dystrykcie Breckland, w civil parish Quidenham. W 1931 wieś liczyła 94 mieszkańców. Wilby jest wspomniana w Domesday Book (1086) jako Wilebey/Wilgeby/Willebeih. ↑ Wilby CP/AP through time | Census tables with data for the Parish-level Unit, www.visionofbritain.org.uk [dostęp 2017-11-20] . ↑ Church of All Saints, Quidenham, Norfolk, www.britishlistedbuildings.co.uk [dostęp 2017-11-20] . ↑ Wilby CP/AP through time | Population Statistics | Total Population, www.visionofbritain.org.uk [dostęp 2017-11-20] . ↑ The Domesday Book Online - Norfolk U-Z, www.domesdaybook.co.uk [dostęp 2017-11-20] .